Information about the next Rainbow Six Siege operator has leaked. 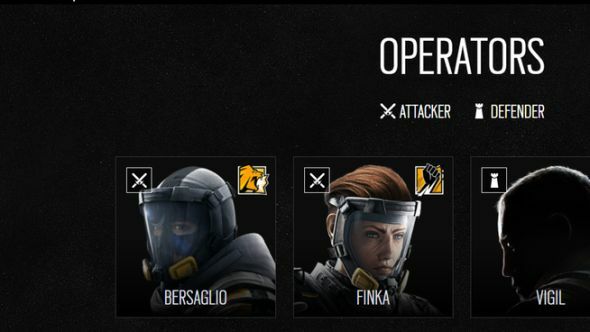 Two Reddit posts, released in relatively quick succession last night, offered more information about the upcoming Italian operators. Here’s what you need to know about Rainbow Six Siege’s operation Chimera. The first post offers an image and name for the new operator – Bersaglio. This translates as ‘target’ in Italian. While that doesn’t tell us loads by itself, it offers a little more when combined with the second post. Put up a couple of hours after the first, the second thread documents some information datamined from the game client. That info points towards to new gadgets – BulletproofCamera and DecoyProjectile. According to the information found in the client, DecoyProjectile will spawn a holographic image, probably of its operator. That’s reasonably explicit on its own, but when combined with the name ‘Target’, gives a pretty clear idea about what this new operator will do. Obviously these are only leaks, and therefore not fully verifiable, but both of these Reddit users have been behind previous, accurate leaks, so I’m willing to give them some benefit of the doubt. You can check out a more detailed breakdown of all of this information in the video above.